The law of attraction has been around since the beginning of our time; almost universally ancient text and spiritual traditions around the world suggest that everything in our world is connected in ways that are just beginning to be understood. Scientist speak of a subtle intelligent energy field that is a net or web that creates the underlying fabric of all creation and responds deeply to human emotion. Modern day scientists call this the Ether. In 1944 Max Plank, the father of Quantum Physics stated that the ether is where the birth of stars DNA of life originates and recent discoveries back up his theory to be real. It is this missing link of our understanding that provides the container for the universe, the bridge between our imagination and our reality, the mirror in our world for what we create in our beliefs, it’s the essence of a new scientific law that we are able to manipulate to bring our hopes and dreams into reality. The law of attraction (Ether) gained popularity in the 19th century as people began to learn the benefits of applying the power of positive thinking to their lives. The first book published called Thought Vibration (Law of Attraction) was published in 1906 by William Atkinson. Even the great Albert Einstein tasked two of his colleagues (Michelson and Morley) around 1897 to do a scientific study of the theory of the Ether (intelligent energy field) existing but it was not till 1986 the ether was proven to exist by a gentleman named E. W. Silvertooth. The Law of attraction is nothing new and has been applied by people to create success and happiness by people through time, in its early infancy of discovery it has been called by other names such as The Quantum Hologram. The Field, The Mind of God, Natures Mind and the Matrix. In more recent times there has been a lot more experiments conducted to understand this intelligent energy field, one being at the particle accelerator in Geneva 25th July 19997 and many more since then. 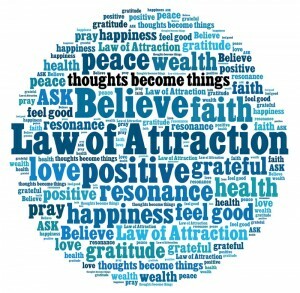 Here at the Balance Clinic we have had great results helping people to turn their lives into a positive outlook applying these principles’ using the Law of Attraction.